What is Net Neutrality & why do we all need it? All of us at Winjit use the Internet and I am not even going to guess what all we use it for. Isn’t it a great thing? It is. And it will continue to be awesome if it remains neutral. So what is all this noise about Net Neutrality? What is a neutral Internet? Here is the answer. The way you use the Internet right now is Neutral. So whatever you might be using it for – shopping, reading news, listening to songs, watching pawn, yes I misspelt it ; it is your choice. And it is your choice which websites and apps you use for these activities. 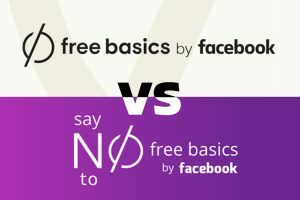 Many of you must have come across Facebook’s campaign called Free Basics. So what is it? According to Facebook, Free Basics allows developers, like us, to sign up so that our apps/websites are available to users in India without having to use data (internet). Most of you would think “this is great”. But here is the problem. It is Facebook’s choice whether they will allow you into this program. So if you build a great new social network, Facebook won’t allow it. Obvious. If you build a great new instant messaging service, they won’t allow it. Because how will then Whatsapp remain number 1, and so on. Now let’s look at what’s in it for the consumer or when you are a consumer. Most would say, free browsing on this website, no data on this app, WOW. What’s wrong in that? Well, almost everything. The Internet has been free, I don’t mean you don’t pay for it, but you are free to browse what you like. So if you want to use ‘Telegram’ (Whatsapp’s competition) because your friends are on it, you can’t, because it is direct competition to Whatsapp and they certainly won’t allow it. Users the world over, especially in India are drawn to whatever is free. It’s a natural instinct. You will use Facebook because there won’t be data consumption on it or you will read certain news websites where you won’t be charged for data. But in the bargain, do you realize that there are certain websites which you might like but you won’t access because browsing those won’t be free? So you might get some things for free but you will never get exposed to other great platforms who do not conform to Free Basics. Some arguments going around believe that some free Internet is better than no Internet. But that’s restricted internet. My argument against this is silly but effective. Read on. Here is a plateful of fruits for you. There is a banana, an apple, an orange and a pineapple on it. But only the apple can be eaten, the rest are out of bounds. So you might crave for a banana but you can’t and you might not because only the apple is free. And I am not talking about all the lovely fruits that cannot be fit onto this plate just because it’s my plate and I don’t like them. Built around Free Basics is another cheeky concept called ‘Differential Pricing’, and this of course is being pushed by operators, because they control the Internet. So here’s what this can do. A big E-Commerce company like Flipkart, with deep pockets, can pay Airtel to allow browsing on it’s website for free. But you have just set up an E-Commerce platform as well and you don’t have as much money to pay Airtel. What will this do? Most Airtel users will not come to your platform because they will have to spend on data to browse your site and they will be in effect forced to buy from Flipkart. If you both have the same product, the customer will buy from him. The buyer will see the product on his platform because the access to Flipkart does not need data. This is why we need Net Neutrality or a neutral Internet. You can pay for data but should not be told what to browse. A free Internet has opened up the world, allowed great new ideas, has taught people, has entertained them. It’s a gold mine as long as you are left to explore it. Whether you want a necklace, a bracelet or ear rings is your choice. So in essence, if the Internet has to be free, free of costs and free for access choices, it’s the government’s job, not a corporate’s. If Facebook feels so much for our India and Internet access for our people, it should look at giving us the Internet but shut up about what we should access. That’s philanthropy. What it’s trying to do right now, is business. Click here to see what Paytm’s Vijay Sharma had to say at the NDTV awards about his journey. He thrived because the Internet is Free. And we should all support for the Internet to be free, free of prejudices. 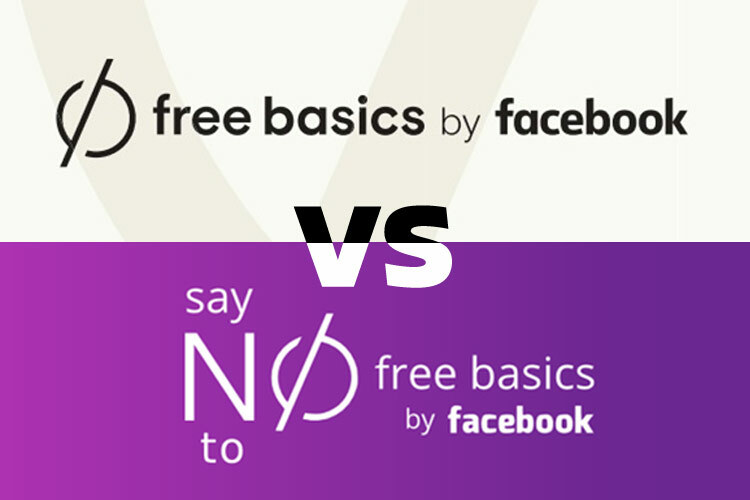 Update: Supporting net neutrality, TRAI banned Facebook’s Free basics.